Out of these 3 health insurance plans with OPD coverage, the Cigna TTK ProHealth Accumulate Plan is the standout. It has no downside and comes with an array of beneficial features for policyholders. But It Doesn't Always Suffice! Severity of ailments and frequency of incidence of falling sick to these diseases have gone up. Many diseases now require hospitalization, that needed just OPD care earlier. This why Indian people especially those who stay with children and elderly parents should avail a family health insurance plan. Children and senior people are more vulnerable to pollution-related diseases as their lack of resistance power tend to aggravate their complication. 5 Top Family Health Insurance Plans in India Here is a list of best health insurance plans in India for a family consisting of a couple with two children living in the most polluted city in India, Delhi. The husband and his spouse are 32 and 30 years old respectively and their two children are 8 and 5 years old respectively. The chosen coverage is Rs. 5 Lakhs because the family lives in a metro city where cost of treatment is high and the total Sum Insured is supposed to be shared among all family members. Source: GIBL.IN The lowest available health insurance premium is Rs.7197. However, you shouldn't just compare health insurance online on the basis of premium as you have to keep other vital parameters to choose the best health insurance in India in mind as well. You have to check the following aspects of health insurance plans as well as of the health insurance companies in India. There is, however, no such health insurance policy that excels in all aspects and still meets everyone's budget. You, therefore, have to find an acceptable trade off between your requirements, budget and available health insurance plans for your family. And, once you find such a plan you shouldn't be bothered by premium even if it is a bit high. The financial protection you will get in return will be lot many times higher than what you could have saved by buying health insurance that fails to meet majority of your requirements. Why Should You Buy Health Insurance Online Now? As long as you are hale and hearty your risk to health insurance companies would be less and hence premium would be lower. But once you catch any disease such as asthma your health insurance premium will go up by at least 10 to 20%. And, this holds truer for older people as their chance of recovery is less and falling sick is more. This is why it is sensible to have one when you and your family members are in the pink of health. 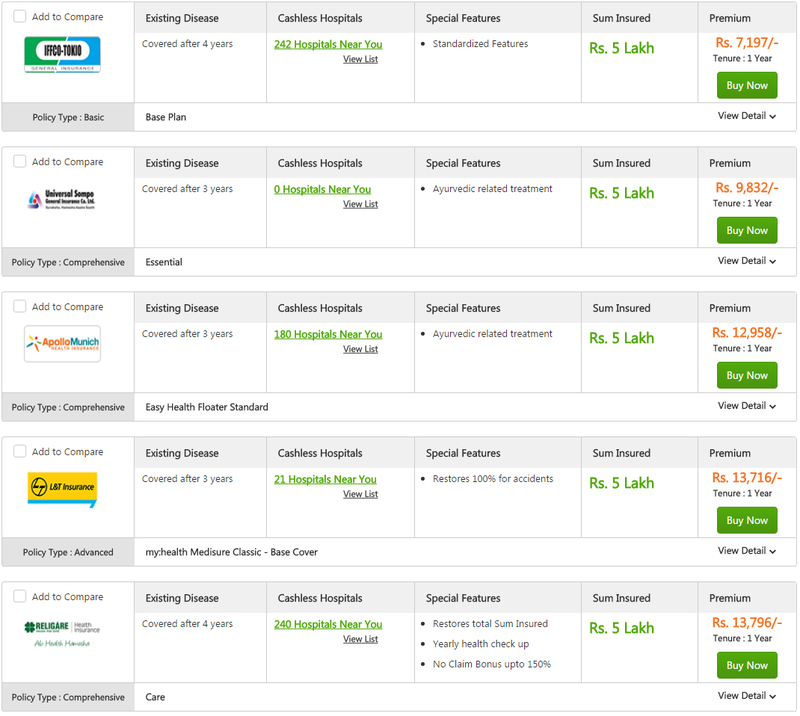 Most health insurance plans in India come with waiting period. Being fit, you won't have the urgency to make any claim during waiting period. With the increasing popularity of online insurance plans, it is now effortless to buy health insurance online. GIBL.IN is India's premiere online insurance marketplace where you can search, compare, buy and renew health insurance online. You can also manage your health insurance online policy on the go by using the GIBL mobile app. You cannot do much about growing pollution-related diseases no matter how conscious you personally are, all you can do is stay protected financially. You cannot ensure that you will remain immune to all diseases, but you can ensure that your bank balance will remain intact even after expensive treatments of ailments you couldn't evade. 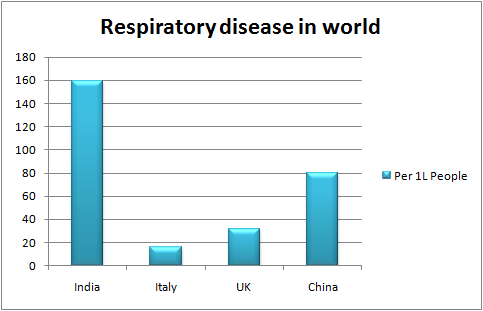 10% of all 300 million asthmatics patients across the world live in India. Buy health insurance online today before its late and enjoy a worry-free life.